Christine A. 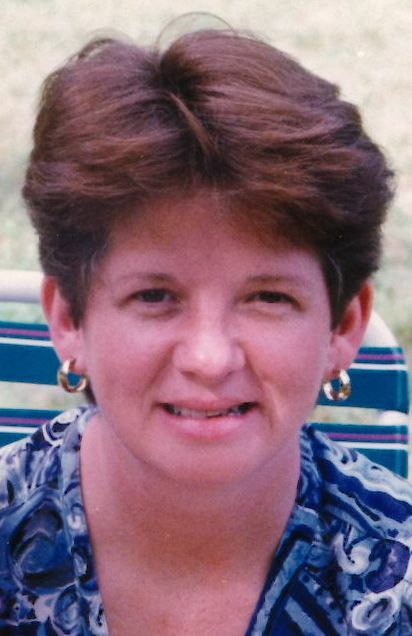 (Brady) Baillargeon, 60, of Methuen, passed away peacefully on Thursday, March 28, 2019, at High Pointe Hospice in Haverhill, with her devoted family at her side after a courageous battle with anaplastic thyroid cancer. The daughter of the late James F. and Mary F. (Harte) Brady, Christine was born on November 3, 1958 in Boston. She was educated in Dorchester schools and was a graduate of South Boston High School. Prior to her marriage, she was employed by New York Life Insurance Company. After her marriage, she was devoted to raising her family and being a homemaker. She resided in Methuen for the past 30 years and attended St. Monica’s Church. She co-owned the family business, Baillargeon Pest Control of Methuen. As her husband said, my best friend has been called to help our Almighty Maker. He had plans for my Honey Bunny to help serve Him. Coming up, we would have celebrated our 30th wedding anniversary. My best friend came from Dorchester and you can take the girl out of the city, but never the city out of the girl. Our best family vacations were in New Hampshire in the White Mountains during the summer and fall. Christine always loved her city and especially going to Castle Island in South Boston with the kids, family and friends to have picnics at the waterfront and watch the planes from Logan Airport fly over. She loved talking with friends and family all the time and especially via electronic communications. She spoke almost daily with her sisters and close friends. Most of all, my best friend loved being a homemaker, raising her children and making fresh, homemade dinners daily. Christine is survived by her husband of 30 years, Henry G. Baillargeon, Sr. of Methuen; Her children, Jillian Baillargeon, and Henry G. Baillargeon, Jr. of Methuen; Her siblings, Mary Katherine and Lionel Lanctot of Blackstone, MA, Bernadette Biggs of South Boston, MA, Neil and Dawn Brady of Shavertown, PA, and Theresa Brady of Manchester, NH, and many loving nieces and nephews. Christine was predeceased by her parents, James F. and Mary Brady, and brother, James Gerard Brady of Dorchester, MA. Relatives and friends are cordially invited to calling hours on Tuesday, April 2, 2019, from 4:00pm to 7:00pm at the Dewhirst & Boles Funeral Home, 80 Broadway (Rt. 28), Methuen, MA 01844. A funeral Mass will be held Wednesday, April 3, 2019, at 11:00am in St. Monica’s Church, 212 Lawrence St., Methuen. Everyone, please meet at church. Burial will follow in the Elmwood Cemetery, Methuen. In lieu of flowers, please consider donations to: Anaplastic Thyroid Cancer Research at MD Anderson Cancer Center (www.mdanderson.org).